In China, the dao is considered one of the four traditional weapons, along with the gun (stick or staff), qiang (spear), and the jian (double-edged sword). Dao are single-edged Chinese swords, primarily used for slashing and chopping. During the Qing period there were a number of different styles and designs of dao being used; as a whole these groups of dao were called peidao, meaning “waist knife”, for how they were hung at the belt. The blade of this Qing Dynasty Dao is made of Hazuya polishing Damascus steel that is painstakingly forge folded by hand. There are approximately 8,192 layers of steel, which is folded 13 times. The hamon is authentic all the way up to the tip because of real clay tempered. There are double grooves cut into the blade to lighten the weight and keep a better balance. 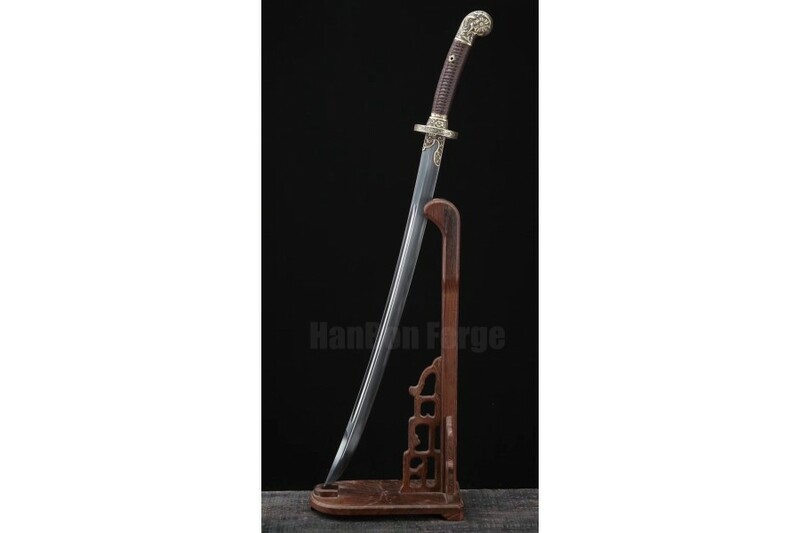 The scabbard is a very high quality rosewood with pure brass mountings in a chrysanthemum pattern. The wood core handle is shaped to be very ergonomic, and is then tightly wrapped in the traditional method with ito. This sword comes in a high quality sword bag and certificate of authenticity. 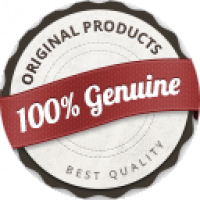 AS A SWORD MENUFACTURER, WE TAKE GREAT PRIDE IN THE QUALITY OF OUR SWORDS AND GUARANTEE YOU WILL BE SATISFIED WITH ANYTHING YOU PURCHASE AT HANBONFORGE.COM. 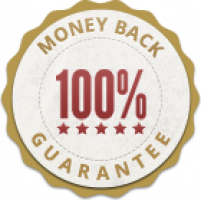 IF FOR ANY REASON YOU ARE NOT COMPLETELY SATISFIED WITH YOUR PURCHASE, SEND IT BACK TO US. 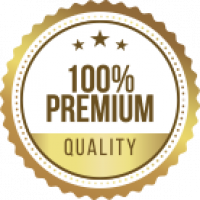 WE WILL BE HAPPY TO MAKE AN EXCHANGE OR ISSUE YOU A REFUND FOR THE ORIGINAL PRICE PAID ONCE THE ITEM IS RETURNED WITHIN THE APPROPRIATE TIME PERIOD. 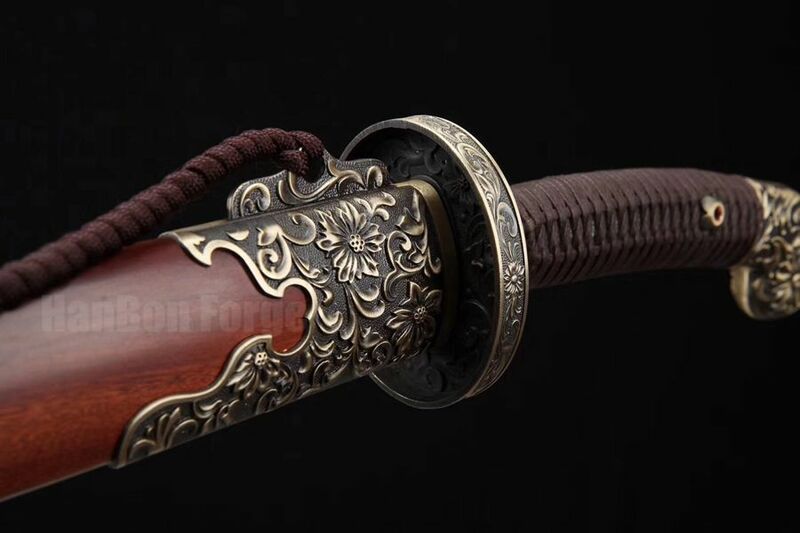 This Chinese Swords Huan Shou DAO was fully hand made, the blade of this sword is made of Damascus steel, you can see the beautiful grain on the surface of the blade. 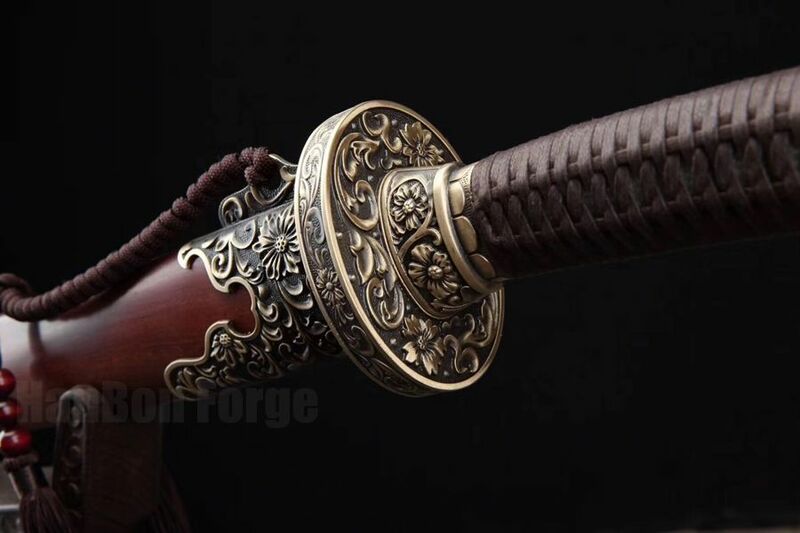 the blade of this sword was also hand sharpened, the edge is very sharp.Chinese Sword Huan Shou Dao Features:Fully hand forged Damascus blade13 times folded, 8196 layers14 times polishing, very sharp edgeBrass solid sword fittingshualee wood sayafull tang blade, very safe for usingOver Length: 33.1 inchesBlade Length: 22.4 inchesHa.. This Chinese sword Dao (刀) is hand forged and hand sharpened using old Chinese method to create a perfect blade. Fully functional and battle ready. The accessories of the sword are all authentic. This is the best Chinese sword you will find in the price range. The blade was made of folded steel. AISI 1060 High Carbon Steel has been folded 10 times creating 1024 layers for superior strength and flexibility. The visible tenuous undulating grain on the blade was resulted from folded repeatedly duri.. This Chinese sword Qing Dao (刀) is hand forged and hand sharpened using old Chinese method to create a perfect blade. Fully functional and battle ready. The accessories of the sword are all authentic. This is the best Chinese sword you will find in the price range. The blade was made of folded steel. AISI 1060 High Carbon Steel has been folded 10 times creating 1024 layers for superior strength and flexibility. 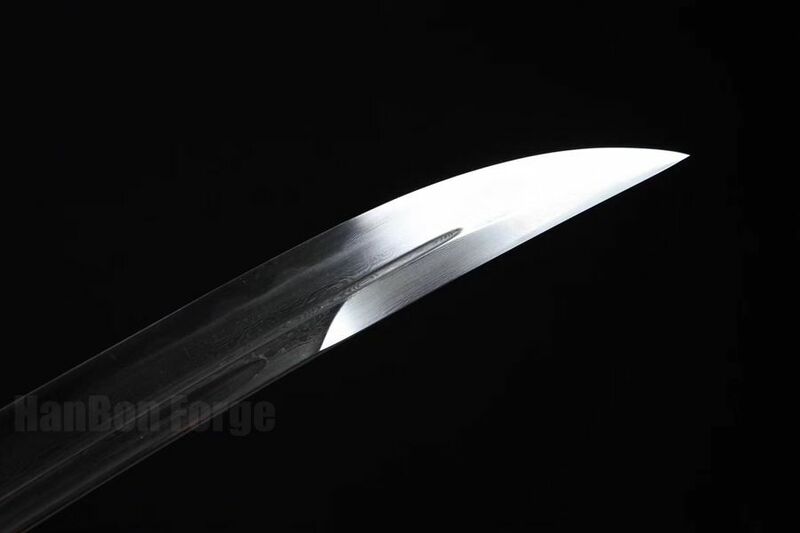 The visible tenuous undulating grain on the blade was resulted from folded repeatedly..
One of the most iconic of Chinese weapons, the Guan Dao / Yanyue dao (偃月刀) is commonly known as "Guandao". It was named after the famous general Guan Yu, an actual historical figure that was deified as early as the Sui dynasty as a symbol of loyalty and righteousness. This product is made of 1095 high carbon steel with a broad blade and dragon head fittings. Overall length is 246 cm from top to bottom. The handle is made of stainless steel with alloy fittings. Guan Dao Yanyue Kwan Dao Drago..
Emperor Kangxi, the longest-reigning emperor in China and perhaps the most famous, reigned for 61 years between 1654 to 1722. The time in which he reigned was characterized by peace, wealth, and stability. Therefore, art and intellect also flourished during the period. Dao are single-edged Chinese swords, primarily used for slashing and chopping. In China, the dao is considered one of the four traditional weapons, along with the gun (stick or staff), qiang (spear), and the jian (sword). 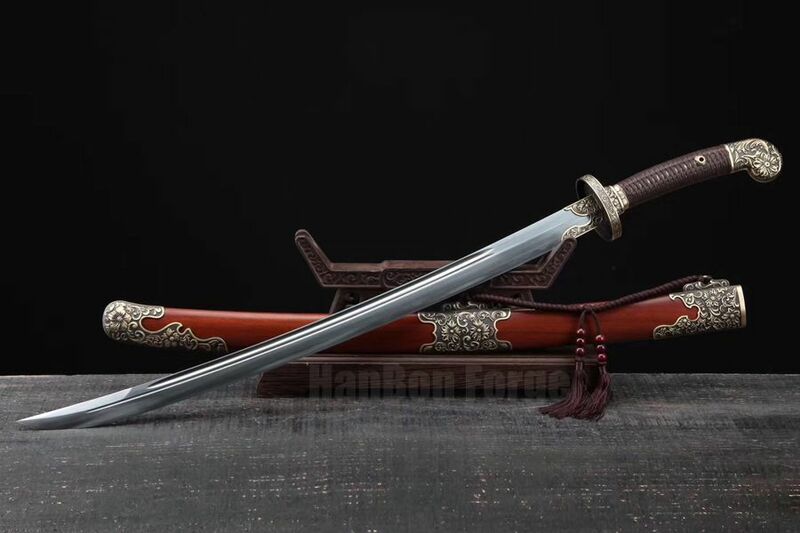 Thi..
Tri-point double-edged sword is the weapon of Yang Jian who is a famous character from Chinese mythology. It is a weapon that combines a sword and a fork. It is very useful in combat with three sharp points, creating large attack range. 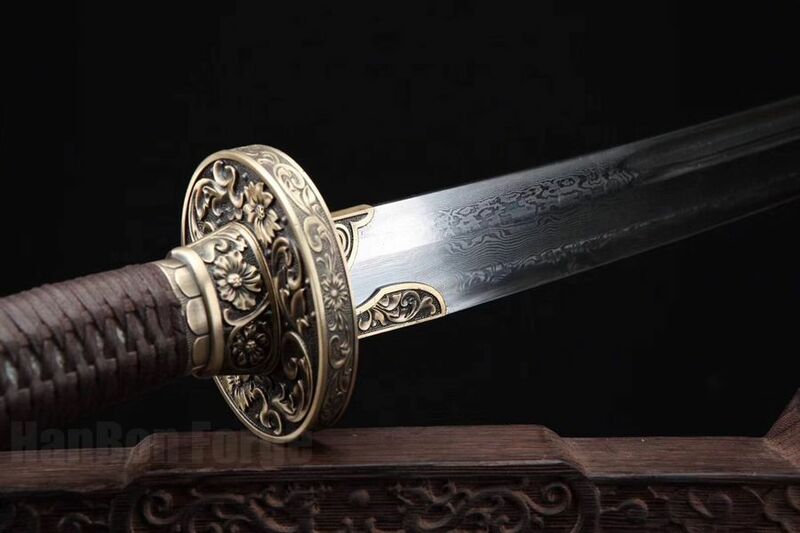 The blade of this sword is made of damascus folded steel with dragon head fittings made from solid brass. The shaft is made of solid iron, and there are 2 pieces can be combined together by inside threader, easy and portable! The blade is hand sharpened, hand pol.. 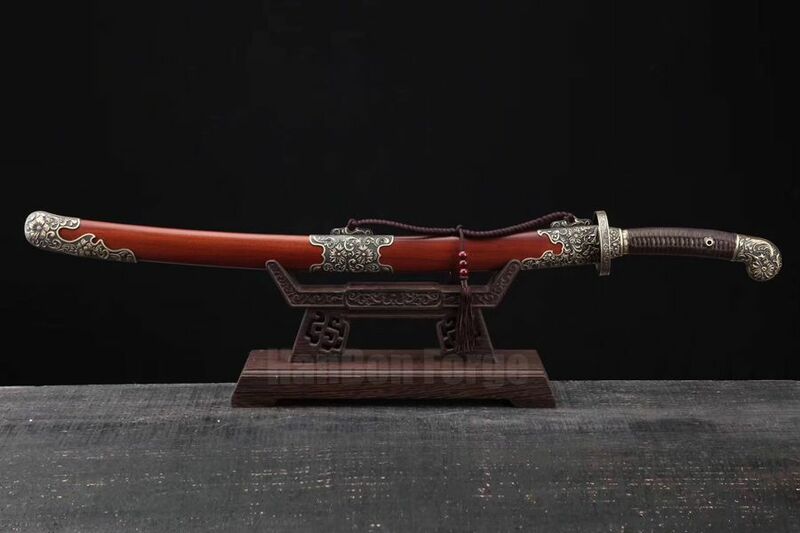 This Dao Sword has been constructed from forge folded steel, clay tempered, and hazuya polishing. The hamon and grain pattern (HADA) of the sword are authentic. The blade has been hazuya polished by hand. Bo-Hi (blood grooves) has been added to better balance the blade and give audible feedback when the sword is swung. The handle core is made of wood, with brown cord tightly wrapped. The scabbard of the sword is ebony wood with beautiful copper mountings. Chinese Dao Ming Dynasty Swor.. The blade of the Dao sword has been constructed from forge folded steel, clay tempered, hazuya polishing and highly hand sharpened. The authentic hamon and folding lines are clearly visible thanks to the hand polish. It has double blood grooves running the full length of the blade. Black lacquered sheath is hard wood wrapped with genuine rayskin and brass mountings. The handle core is also hard wood wrapped with black genuine rayskin. This Dao sword is a very good choice for dojo and iaido use, .. 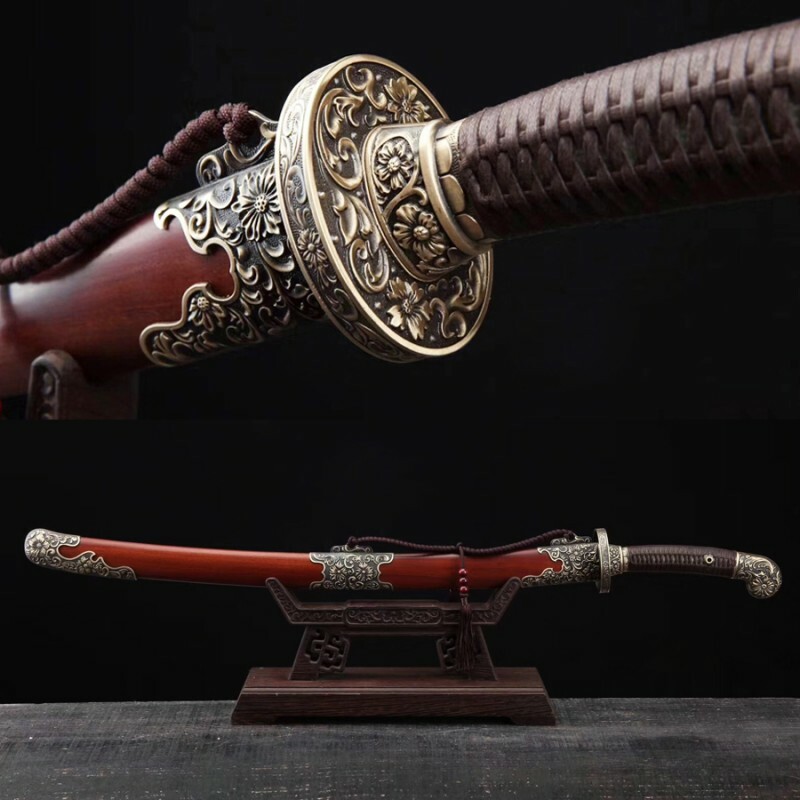 The Dao sword has been hand forged from folded carbon steel, it features 8,192 layers of steel, giving the blade visible pattern (HADA). The blade is clay tempered hazuya polishing, the hamon is authentic all the way up to the tip. Double-Hi has been added to the blade to better balance the blade and give audible feedback when the sword is swung. This Dao sword is fully sharpened and its guard, fuchi and kashira are all made of brass with dragon design. The scabbard, handle are made of hard rose.. 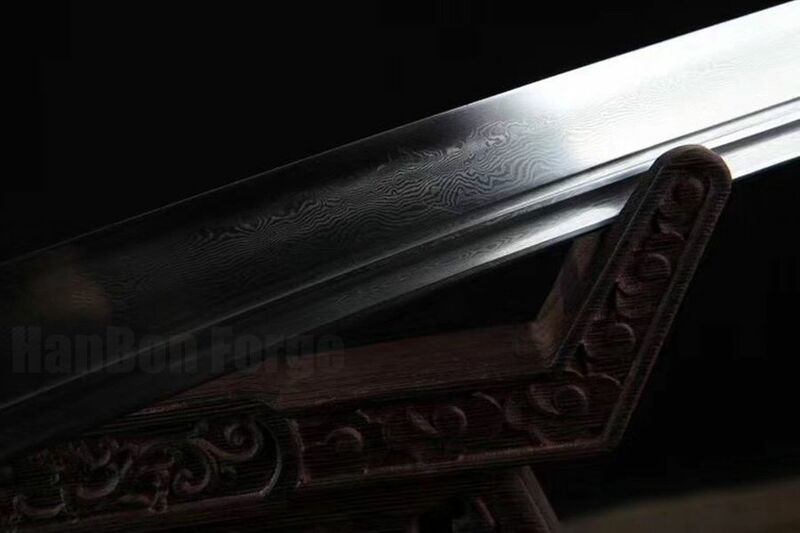 The blade of this Dao sword is made of folded steel which features beautiful grain pattern (HADA) with visible layers. It has been sharpened. The blade is repeatedly heat treated and hand forged to remove impurities, which gives it strength and flexibility. It also features double hi, giving the sword a very good balance and weight. The Tsuba and matching fittings are constructed from pure brass in a beautiful dragon design. The handle core is made of wood, with brown cord tightly wrapped around..
Qi Jia Dao (戚家刀, lit. 'Sabre of House Qi') A rather unique Sabre that combines a Japanese sword blade with a Chinese style one-handed hilt. Starting in Ming Dynasty, to improve the quality of its sabers, these sabers started to be made modeling after Japanese sword. In the collector's circle they are called Qi Jia Dao, as legend has it were first made for the famous general Qi Ji-guang (戚繼光). This style continued into early Qing Dynasty. 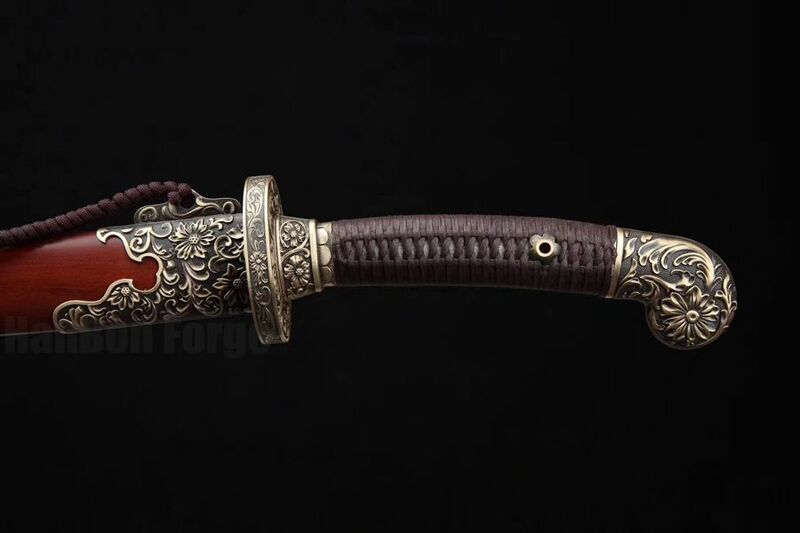 This Qi Jia Dao sword is made of Damascus folded ste.. This Tai Chi sword features a stainless steel blade that is etched with three Chinese characters(太极刀). The 75 cm stainless steel blade is 0.5 cm thick. The Sheath is made by Hualee wood with pure brass finish guard and fittings. 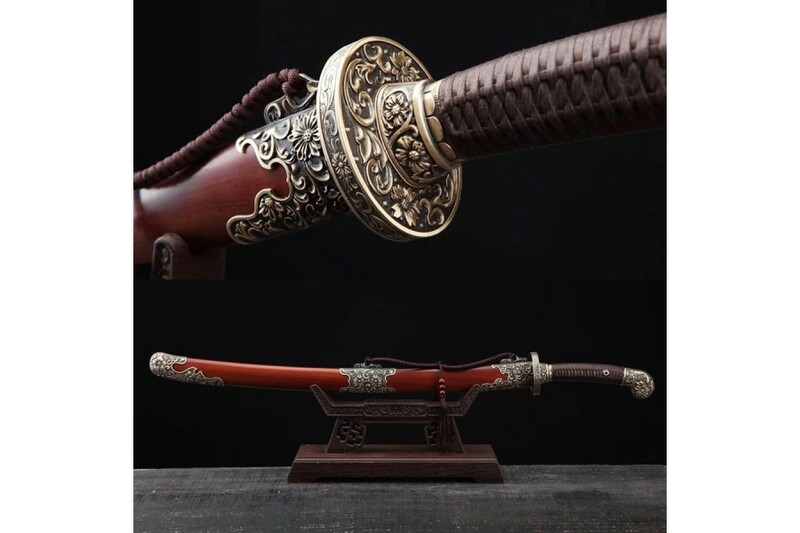 The sword blade is blunt for decoration, Tai Chi training.Tai Chi Dao sword Chinese Martial Arts Weapon Stainless Unsharp Blade Features:HanBon Forge Taiji Dao swordStainless Blade, Unsharp Hualee wood scabbard with brass fittingsNot suitable for cuttingUses for dec.. The qilin (Chinese: 麒麟), is a propitious beast in ancient Chinese mythology, with the shape of a deer, tail of an ox, a single horn and scales all over its body, said to appear with the imminent arrival or passing of a sage or illustrious ruler. Qilin is a specific type of the lin mythological family of one-horned beasts, it is a symbol of kindness and harmony. Generally, the Dao is a weapon with a curved and single-edged blade and is highly regarded as one of the most favored weapons for the cl..
How to make a sword Shirasaya? Copyright © 2007-2019, HanBon Forge, All Rights Reserved.